pain and swelling. Therefore, this modality may be considered a healing process device as it augments compromised tissues and allows the body to heal. Conditions that respond to cold laser include almost any musculoskeletal problem. This might include shin splints, tendinitis, rotator cuff strain, postsurgical knee pain, arthroscopic portal treatment, planter fasciitis, Achilles tendinitis, Morton’s neuromas, carpal tunnel syndrome, neck pain, low back pain, tennis elbow, ankle sprains, shoulder sprains, and just about any other muscle joint problem you can think of. 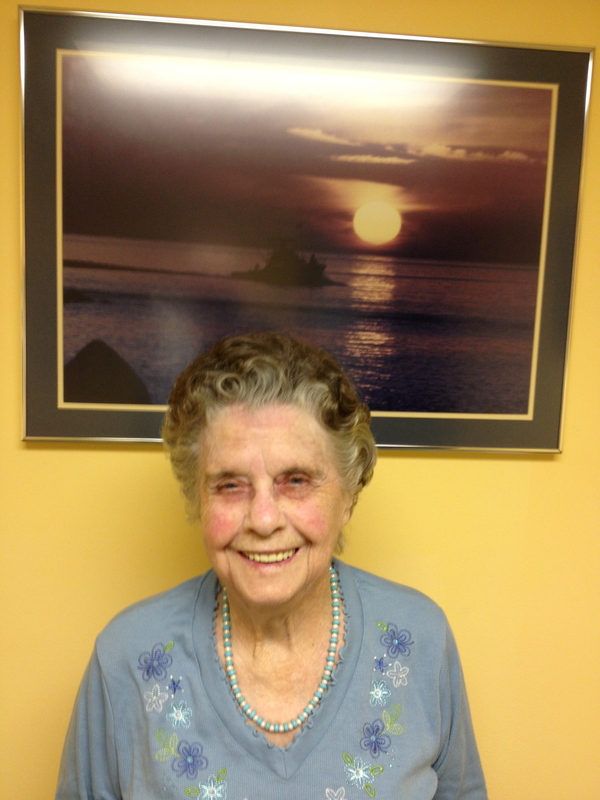 Our patient highlight includes Edna, who had low back region pain, which we ultimately narrowed down to a sacroiliac problem. Edna responded well to the blocking techniques in an effort to improve on asymmetry of the pelvis, however, she responded even more favorably with the addition of cold laser into the sacroiliac Joint. On her last visit she told me she felt so good she forgot her cane! Thanks for allowing me to share Edna. What Helps Chronic Joint Pain? Chronic joint pain can be complicated. Sometimes there are complex neurological as well as psychological reasons why joint pain remains recurrent. But, these are actually low on the totem pole for causes. More commonly the problem is the misconception of two little suffixes, itis vs. osis. Itis means inflammation and osis means abnormal tissue. Joints that repeatedly cause pain every time you use them develop abnormal tissue. For example, an inflamed tendon is called tendonitis. Once healed and repeatedly worn, the tissue develops abnormally and the condition becomes pain even with normal use. 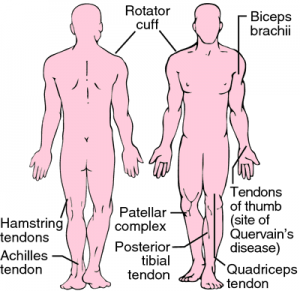 In other words, tendonitis has become a condition called tendonosis. Many doctors fail to recognize this and continue to treat for inflammation. Given that there’s really no inflammation, anti-inflammatories usually don’t have much effect. Aside from the fact that there’s little to no inflammation with a bout of tendonosis, the main consideration is that these conditions are simply no longer repairing or healing, as if in a dormant state, so it persists and wreaks havoc on the sufferer. Another issue is reduced blood flow. Inflamed areas are rich in blood flow, which is necessary for healing; chronic problems typically have poor blood flow to the region. This has been demonstrated with very sensitive diagnostic ultrasound studies, more sensitive than MRI. Common name problems associated with chronic pain include rotator cuff (shoulder) pain, patellar tendonosis (runners knee pain), Achilles heal (tendonosis), medial epicondyle elbow pain (golfers elbow) and of course tennis elbow as well on the lateral aspect, commonly called lateral epicondylitis and should be called epiconylosis. Any joint problem that has become chronic may fall into this category of pain production. In the spine it’s called spondylosis. Because it’s a problem that commonly results from repeated wear, over time, it’s more commonly an adult problem. Innovative treatment techniques have arisen over the years to help with osis’s but many times can only be found at specialized orthopedic or sports centers. 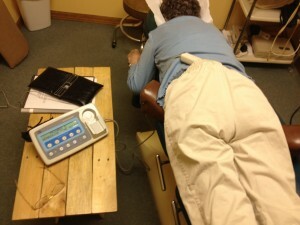 Treatment is typically designed to jump start healing and blood flow to the area. 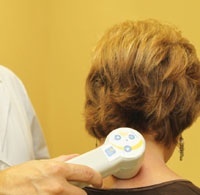 Techniques such as shockwave therapy and prolotherapy needling, act as wakeup calls to the painful region. Other techniques include nitroglycerin patches and platelet injection. Physical therapy techniques that break down scar tissue in the involved regions basically do the same thing on a simpler scale. This might include different forms of joint and soft tissue mobilization and manipulation. Repetitive end range or mid-range therapeutic movement exercises literally remodel dysfunctional tissue, improving the tissue qualities over time. Cold laser has a jump start effect too, as it promotes increased circulation to the region and wakes up dormant cells, activating the natural repair process. It also has a natural analgesic (pain reducing) effect as well. We provide the physical therapy techniques in combination with cold laser, both of which we’ve had good success with. So, if you have chronic joint pain, give it go. If that fails, then you can opt for the more expensive and invasive techniques out there. The Prevalence of Knee Pain is Up! From Clinical Epidemiology Research & Training Unit, Boston University School of Medicine, and Brigham and Women’s Hospital, Boston, Massachusetts. Background: A recent surge in knee replacements is assumed to be due to aging and increased obesity of the U.S. population. Objective: To assess whether age, obesity, and change in radiographic knee osteoarthritis explain the trend in knee pain and osteoarthritis. Design: Cross-sectional, using data from 6 NHANES (National Health and Nutrition Examination Survey) surveys between 1971 and 2004 and from 3 examination periods in the FOA (Framingham Osteoarthritis) Study between 1983 through 2005. Participants: NHANES participants (white or African American; aged 60 to 74 years) and FOA Study participants (mostly white; aged ≥70 years) were included. Measurements: NHANES participants were asked about pain in or around the knee on most days. In the FOA Study, participants were asked about knee pain and had bilateral weight-bearing anteroposterior knee radiography to define radiographic knee osteoarthritis. 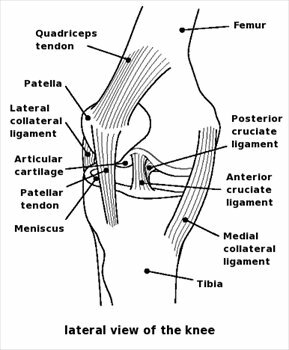 Radiographic evidence and self-reported pain were used to define symptomatic knee osteoarthritis. The age- and age- and body mass index (BMI)–adjusted prevalences of knee pain and osteoarthritis at later examinations were compared with that of earlier examinations by using the ratio of the prevalence estimates. Results: Age- and BMI-adjusted prevalence of knee pain increased by about 65% in NHANES from 1974 to 1994 among non-Hispanic white and Mexican American men and women and among African American women. In the FOA Study, the age- and BMI-adjusted prevalence of knee pain and symptomatic knee osteoarthritis approximately doubled in women and tripled in men over 20 years. No such trend was observed in the prevalence of radiographic knee osteoarthritis in FOA Study participants. After age adjustment, additional adjustment for BMI resulted in a 10% to 25% decrease in the prevalence ratios for knee pain and symptomatic knee osteoarthritis. Limitations: Differences in sampling of FOA Study participants over time or birth cohort effects cannot be ruled out as possible explanations of the increased reporting of knee pain. Increases in prevalence at the last interval in the FOA Study might be due to differences in cohort membership by interval. Conclusion: Results suggest that the prevalence of knee pain has increased substantially over 20 years, independent of age and BMI. Obesity accounted for only part of this increase. Symptomatic knee osteoarthritis increased but radiographic knee osteoarthritis did not. Primary Funding Source: American College of Rheumatology Research and Education Foundation and National Institutes of Health. The FOA Study was funded by the National Heart, Lung, and Blood Institute (for the parent Framingham Heart Study), National Institute on Aging, and National Institute of Arthritis and Musculoskeletal and Skin Diseases (FOA Study), National Institutes of Health. Cervicogenic headaches result from biomechanical issues generally in the subcranial region of the neck (base of the skull) as it articulates with the upper cervical spine. 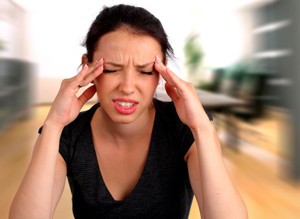 When experiencing this headache, most people grab an aspirin or some other over-the-counter remedy, which may or may not provide temporary help. Addressing the underlying condition though involves joint manipulation, stretching, therapeutic exercise and activities to correct posture. Joint restriction can disturb sensitive structures of the neck. For example, a nerve constriction can cause a headache to radiate throughout the entire craniofacial region. Low level laser therapy provides a non-pharmacological tool to facilitate the physical therapy involved in improving the conditions that ultimately alleviate these headaches.